Robust mechanics for aiming of directive antennas towards the UAV. It allows security in the long distance radio link. 360 ° continuous rotation, inclination 0-90 º. Automatic tracking and totally autonomous. 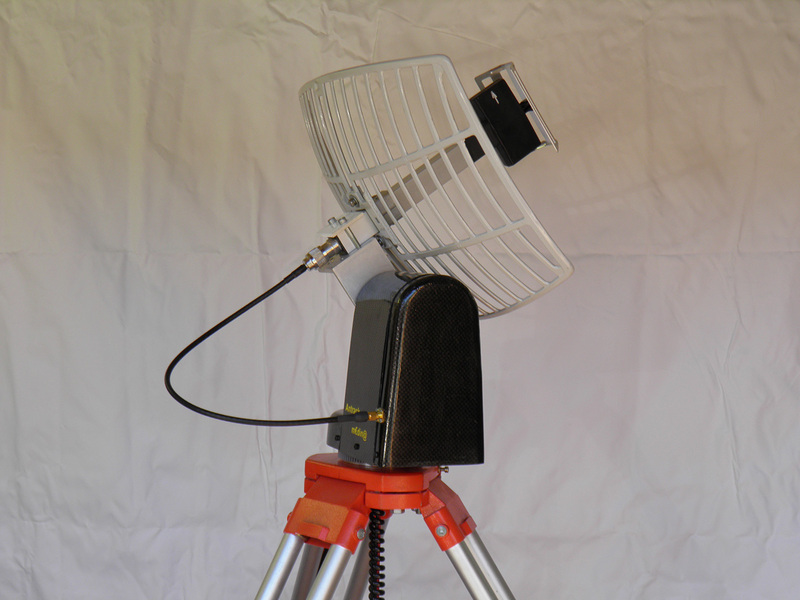 It allows to install several antennas for telemetry, video reception. Mounts on a topographic tripod.